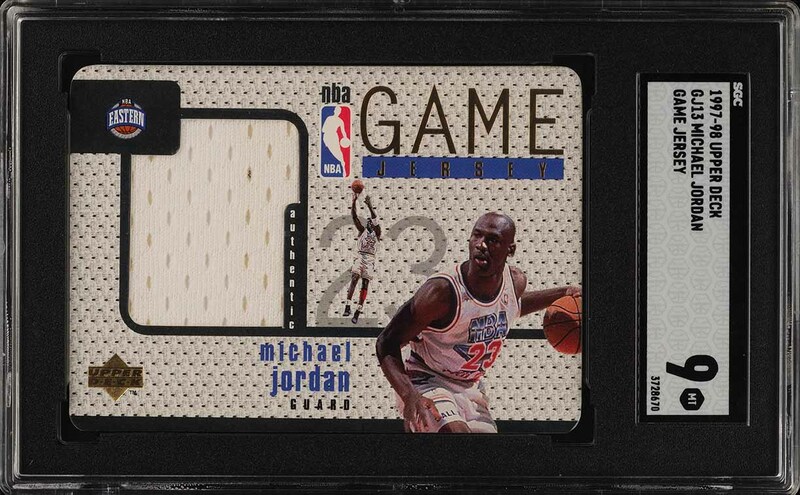 A holy grail type Michael Jordan insert on the market this month. The '97 UD Game Jersey issue is where it all began and set the precedent for future productions. The patch is even more appealing to investors due to the fact that we know exactly where it came from, the '92 NBA All-Star game. 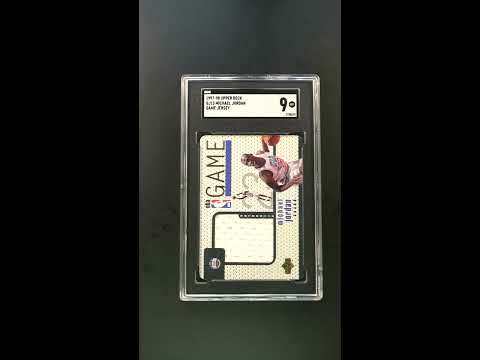 The offered masterpiece lies within a brand new SGC 9 holder and represents the highest graded copy we've had the pleasure of brokering in some months. 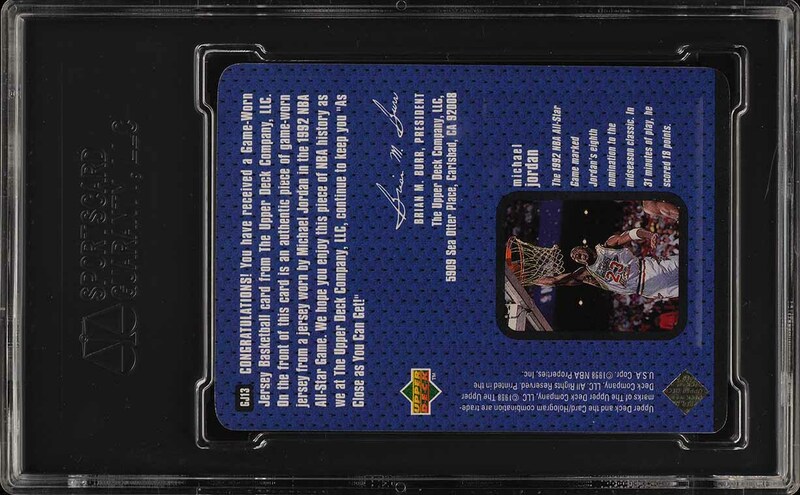 This card is virtually flawless from every angle with only the faintest bit of wear to the edges keeping from grading higher. The card boasts perfect centering, exquisite surfaces and perfectly preserved corners. With all due respect to Wilt Chamberlain, Bill Russell, Jerry West, Kareem Abdul-Jabbar and many others, Michael Jordan is considered the greatest basketball player of all-time with his incredible stats and six NBA championship rings. From the very beginning, Michael Jordan partnered with Nike to create a worldwide brand, "Air Jordan", that far surpassed those of his contemporaries. The Air Jordan brand became synonymous with Basketball and made everyone want to 'Be Like Mike'. To this day, Michael Jordan is a household name and perhaps the most recognized athlete in the world. All told, this is an extraordinary offering which is only deserving of the finest investment portfolio. One of nearly 15,000 cards, lots, and sets up for bid in our 4th Auction of 2019. Click on the link above to view the other PWCC auction lots. The PWCC Vault is now live! Open a PWCC Vault account and receive a custom Vault shipping address. Purchases shipped to the Vault receive free shipping and reflect Oregon's 0% sales tax rate.